The Rise And Fall Of Gangster Al Capone Jonathan Eig's book Get Capone reveals new insights about the famous Chicago gangster — including how freely he spoke to reporters, the time he shot himself in the groin, and how venereal disease eventually robbed him of his health and sanity. This interview was originally broadcast on Aug. 9, 2010. 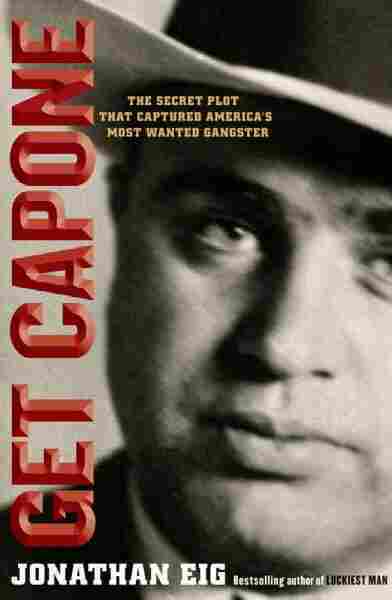 'Get Capone' is now available in paperback. In Get Capone, writer Jonathan Eig takes us back to the roaring '20s in Chicago, when cops and judges were on the take — and unsolved murders piled up by the dozens every year. Eig's new book chronicles the rise and fall of legendary gangster Al Capone. It's based on newly acquired documents and interviews with some of Capone's descendants. The book reveals a lot about Capone — how freely he spoke to reporters of his exploits, the time he shot himself in the groin, how little Eliot Ness had to do with putting him away, and how venereal disease eventually robbed him of his health and sanity. Eig tells Fresh Air contributor Dave Davies that Capone always saw himself as a businessman, even when ordering violent hits. "In interviews, Capone would often say violence is part of the job," Eig explains. "He didn't see it necessarily as something God would consider a sin because he was protecting himself, he was protecting his family [and] he was protecting the business that he needed in order to take care of his family. ... But he did acknowledge that he was a bootlegger." Jonathan Eig is a former writer and editor for the Wall Street Journal. He is also the author of Luckiest Man: The Life and Death of Lou Gehrig and Opening Day: The Story of Jackie Robinson's First Season. "I think at times Chicago's population felt terrorized, but it wasn't the machine guns that did it. ... There were hardly any incidents in which innocent civilians were killed in these gang wars. It was really the gangsters being killed. And because the police weren't doing anything to stop these guys, the fact that some of them died didn't stir a lot of sympathy among most Chicagoans. The real issue for most Chicagoans was the damage it did to the city's reputation. We already had an image of corrupt politics, we had a mayor who was widely perceived as being one of the most venal in the country's history, and then you've got these gangsters walking down the street with machine guns shooting it out on Michigan Avenue in broad daylight. This is, as you can imagine, not good for business. So the city's business leaders are really the first to raise a ruckus and say, 'Something must be done about this.' "
"In the 1920s, everyone wanted to be a celebrity. Everyone wanted to be like Babe Ruth or Charles Lindbergh. ... Businessmen, in particular, in the '20s really believed that to be a success, an entrepreneur needed to have a personality, a sense that you were a success. That's why I think Capone dressed the way he did. And that's why he entertained the press — because he wanted to be perceived as a successful American. Dale Carnegie ... would later cite Capone as a model for creating the public image. Obviously, it went bad in many ways for Capone, but that's the image he was going for." "[Capone] was stunned. Nobody saw this coming, especially after he was thinking two to three years, based on the offer the government had made — and based on other income-tax cases. He'd even seen some of his gang members go to jail for income tax evasion and he'd seen his brother convicted, and the typical sentence was two to three years. So he was not prepared at all for this. And one of the keys was that Capone was not tried by a jury of his peers. The jury was really hand-chosen — really hand-selected — by this judge. It was difficult to find men who were willing to convict bootleggers because everybody drank. But this was a jury that was not only willing to convict, it was eager to convict. To say they threw the book at Capone is a massive understatement."